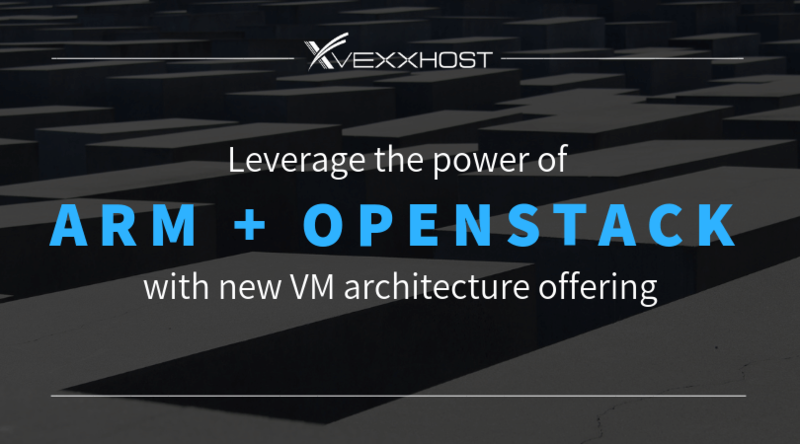 Montreal – September 12, 2018 – VEXXHOST, in collaboration with Arm, announced plans to offer commercially available Arm®-based virtual machines with OpenStack® API access. This architecture, which is exclusively offered at VEXXHOST, allows the Canadian cloud provider to give users access to virtualized 64-bit Arm hardware using existing OpenStack based public, private, and hybrid clouds. To celebrate, users can now sign up and take advantage of a limited time 15% discount offered for virtual machines based on Arm technology. Founded in 2006, VEXXHOST Inc. is a Canadian cloud computing provider offering OpenStack public cloud, private cloud, hybrid cloud and consulting solutions to customers, from small businesses to governments, from over 150 different countries. VEXXHOST Inc. delivers a high level of expertise to help clients optimize cloud infrastructure so they can focus on their core competencies. For more information, visit https://vexxhost.com or follow VEXXHOST on Twitter @vexxhost. For more information or to sign up, click here.